A vinyl pool liner for your swimming pool is a popular option for all pool owners, as it resists the growth of algae, bacteria and fungus and has a stunning finish compared to other pool options. Vinyl is the easy-care pool liner and a few minutes reading this can help keep your pool healthy and sparkling clean, reducing the time you need to spend on maintenance. Make sure you keep these recommended tips close by so you can spend more time in the pool and less time cleaning it! Not just any old water will do for your swimming pool. As water differs in mineral content throughout Australia it is important that your pool water is both balanced and stabilised, and regularly checked for chemical and mineral imbalances which can be harmful to the vinyl finish. What is suitable for your neighbour’s pool is not necessarily best for your vinyl pool. The following levels have been carefully researched to ensure the best care for both your pool and your family. DO NOT use levels recommended for other pool finishes. A stabiliser prevents chlorine being destroyed by the sun’s rays, helping the chlorine to kill harmful bacteria. 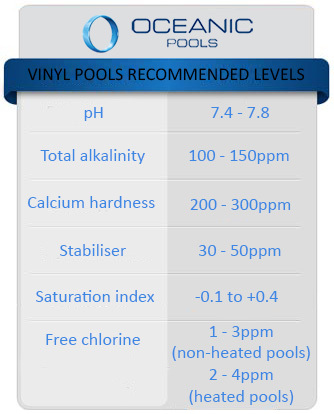 All vinyl pools should be treated with a stabiliser (isocyanuric acid) in the range between 30-50 ppm. Anything above this level is not recommended, as anything over 100ppm will prevent the chlorine from working effectively and will result in increased chemical bills. The pH reading measures the acidic or alkaline content in water. For best results, the pH should be between 7.4 – 7.8. 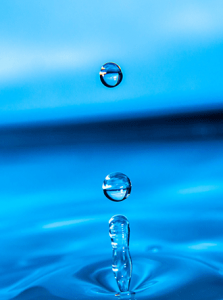 Water with low pH will tend to be corrosive and irritating to the eyes. A pH of less than 7.0 must be avoided since it can cause the vinyl pool liner to form winkles. Water with high pH will also be irritating to the eyes, causing scale formation and generally yield cloudy water. To raise the pH of your water it is recommended that you use soda ash, chlorine (calcium hypochlorite) or sodium bicarbonate. Total alkalinity refers to the amount of alkaline materials in the pool water, which can act as a buffering agent to help control pH levels. Water with low alkalinity will be sensitive to pH changes and can create problems in stabilizing the pH levels. Conversely, water with high alkalinity can make the changing of the pH difficult because the water will want to resist any pH change. Constant adjustment of total alkalinity is essential with the ideal range for vinyl pool liners sitting between 100-150 ppm. This refers to the amount of dissolved calcium in the pool water. Keep levels between 200-300 ppm if you are using a salt chlorinator. Free chlorine is also known as the ‘available’ or ‘usable’ chlorine. For effective use of your pool, maintain levels of free chlorine between 1-3 ppm. Below 1 ppm can allow algae and bacteria to flourish. If you have a heated pool, try to maintain a level between 2-4 ppm. Testing for the presence of dissolved metals such as copper and iron in the pool water is very important, especially when trying to minimize the time cleaning the pool. Dissolved metals may cause staining of the vinyl liner directly, or may combine with calcium to form actual deposits on the vinyl finish, especially if the pH value is high. Keep down levels of dissolved metal by avoiding using algaecides, which contain metals such as copper. If the level of dissolved solids is too high it becomes difficult to obtain the best from the chemicals. There are many problems associated with this, which include scale formation, green water, odours and reduced chlorine. Protect your unique vinyl finish by not using harsh abrasive cleaning agents, steel wool, sharp bristled brushes or scouring pads. 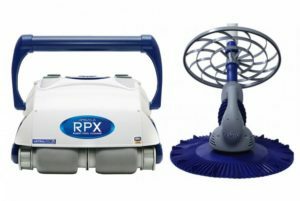 Make sure you check with the manufacturers of the automatic pool cleaners as to which is the most suitable unit for vinyl pool finishers as overuse can also damage the pool finish. Many pool shops as well as vinyl pool specialist companies like Oceanic Pools are more than happy to help you overcome any problems that may arise regarding the water, the chemicals and what’s best for your vinyl pool. If covering your pool through winter, make sure the cover fits well and that edges are tightly sealed. This can help stop leaves and dirt entering which can cause staining if it’s left on the pool surface for some time. If your pool cover is a floating blanket type, lift an edge of the cover every two weeks to check no leaves or debris has entered the pool. When using all pool covers, be sure to adjust your chemical levels. Pool covers will reduce the amount of chemicals needed by up to 66%. This means automatic chemical systems need to have their time cycle reduced. Under no circumstance should you empty your pool without consulting a pool liner specialist. If you empty your pool, you must refill it within 24 hours. If the pool is left empty for a considerable amount of time, there is an increased chance of damage being caused to the pool liner. With a little bit of care, a vinyl pool liner will enhance your home and lifestyle and give you years of trouble free leisure and enjoyment across the summer months. If you’re still unsure about the best way to care for your swimming pool liner, reach out to a company like Oceanic Pools – we are more than happy to help determine the best maintenance strategy for your individual vinyl pool in Perth or the South-West of WA for years to come.